The next item on the to-do list for the midget was brakes. We could roll and steer, now we needed to stop. 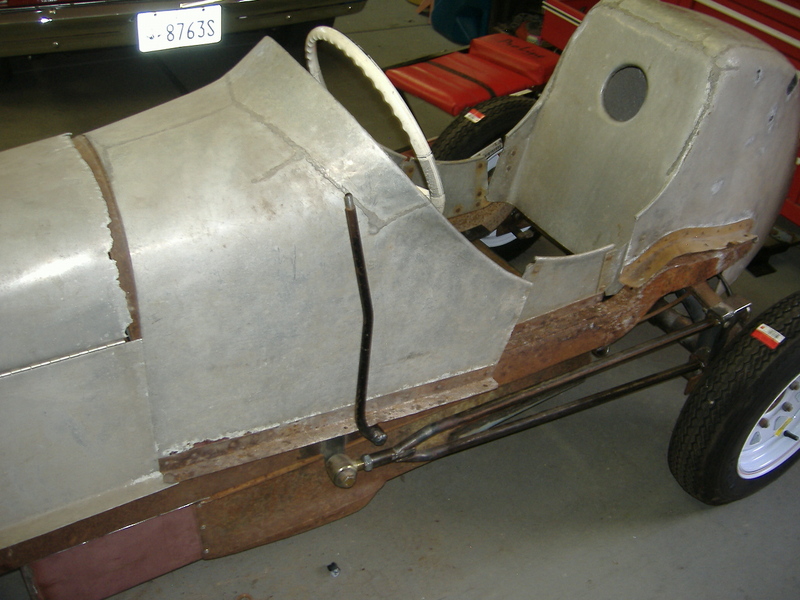 ’40s midgets did not use a brake pedal. 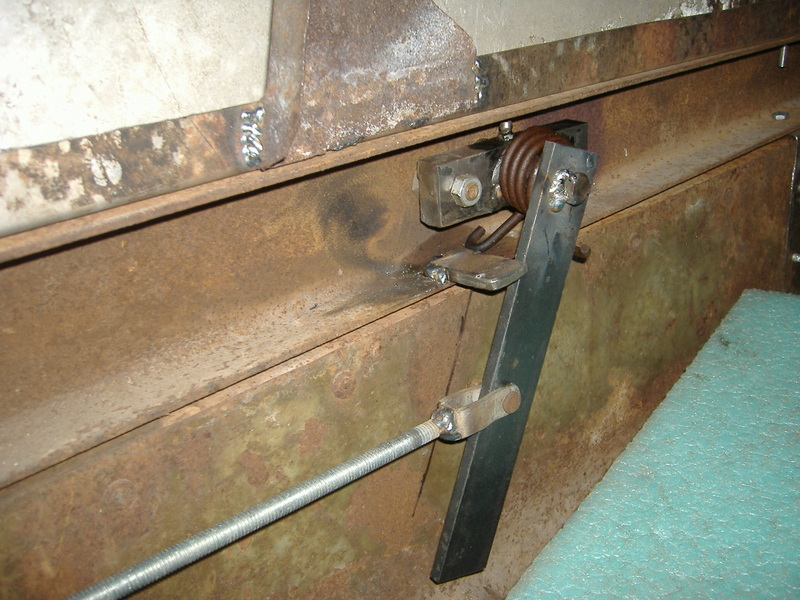 Instead, they had a lever on the outside of the vehicle which was actuated by hand. They only had rear brakes. 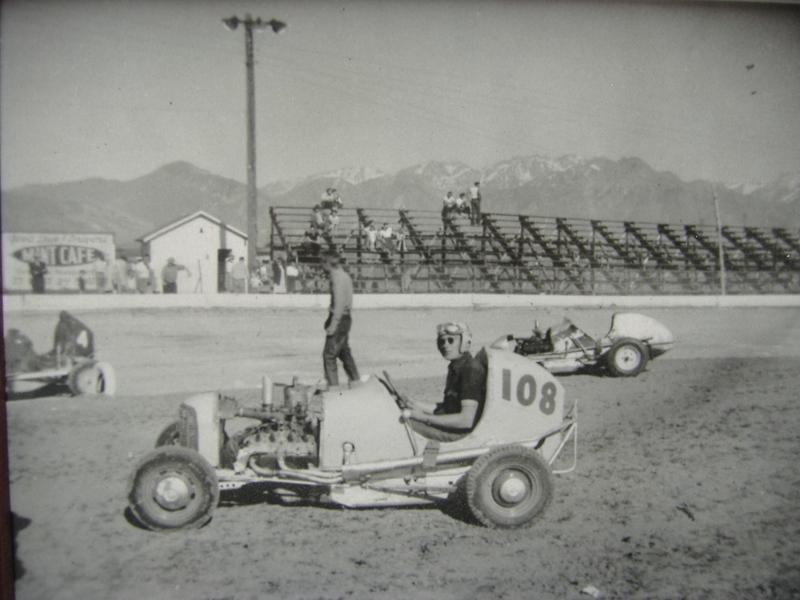 Midgets were drift cars long before drift cars were a trend. The brake lever can be seen in this photo with a white knob. That is my grandfather, Dale Ith in the car. 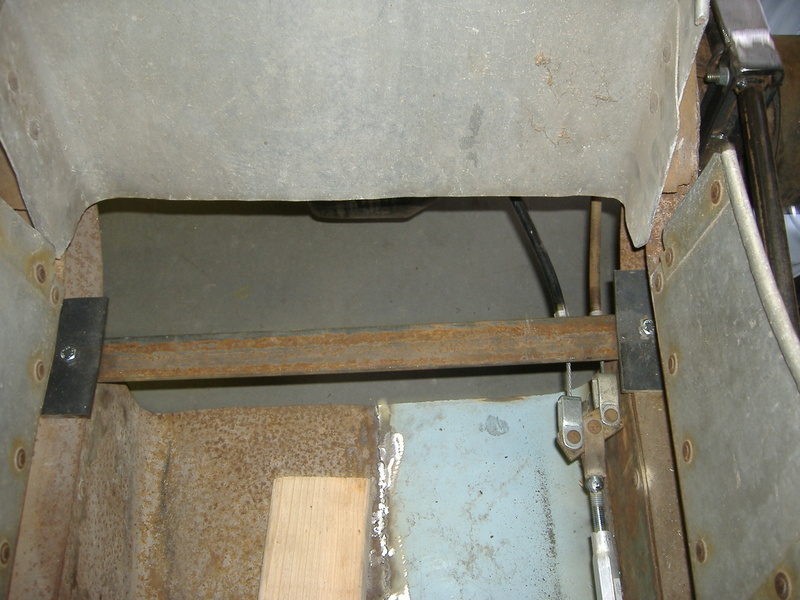 We were even able to use the stout return spring from the golf cart brakes. 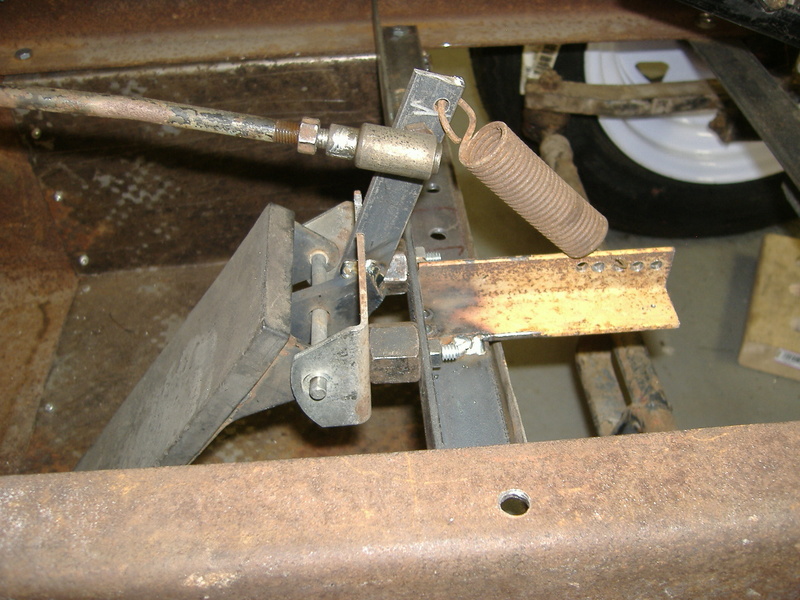 We welded a stop tab to keep it upright. 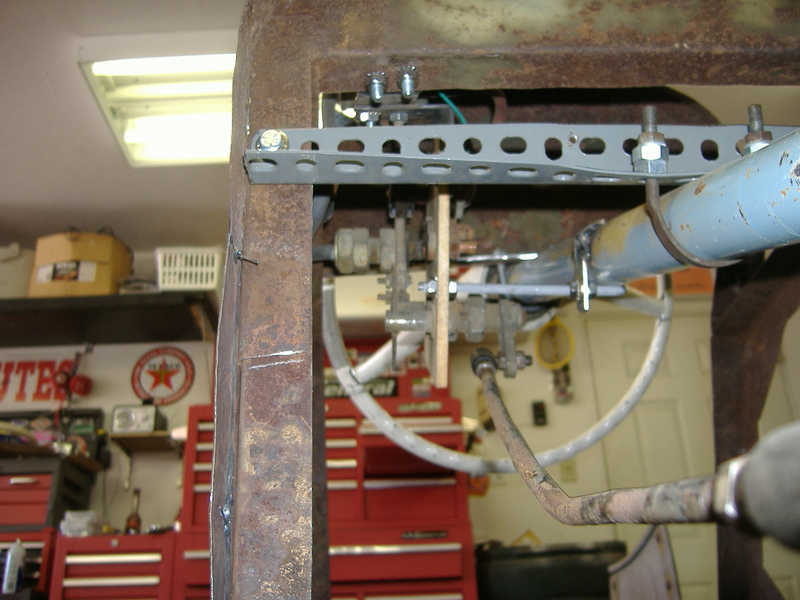 A trip to Pick-n-Pull netted the arm for the brake lever – a shifter arm from a ’66 Ford pickup. The shape and taper offer a better aesthetic than a straight piece of stock. 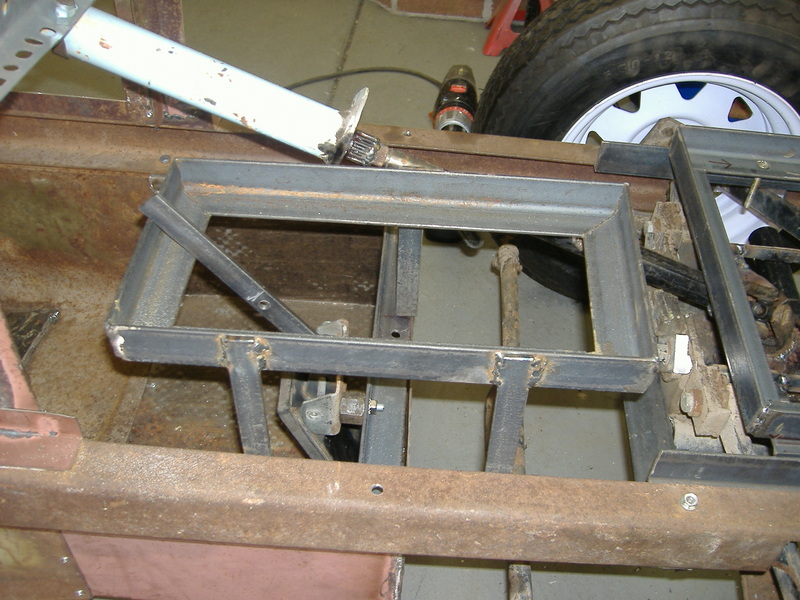 A couple of brackets were then fabricated to hold the cables. Add an 8-ball knob and the brakes were done. Now that we had brakes, we needed a reason for their existence. Power. This really was exciting. All we had to do now was add electricity and the midget would be on the road. First, we needed a place to keep the batteries. The golf cart had used 6 6-volt batteries, but there was no way that many batteries would fit in the midget, so I went with 3 12-volt batteries. It was very difficult to find a place for even that few. I wanted them on either side of the steering column, but due to the hinging of the hood, only one would fit. Another was placed in the nose cone, and the last one was squeezed in between the seat and the rear diff. 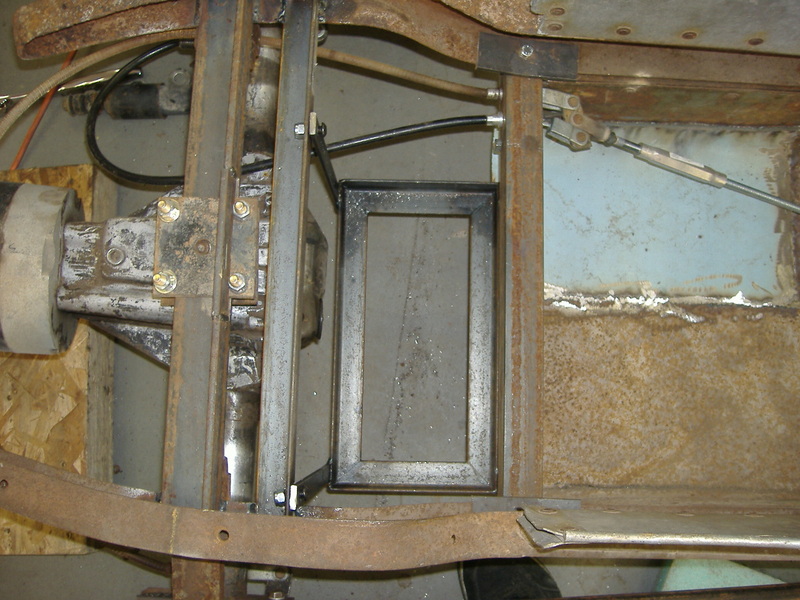 Note that the brake cables loop around behind the differential. This is a product of having to reverse the whole motor/axle setup. That’s the throttle control at the end of that rod. 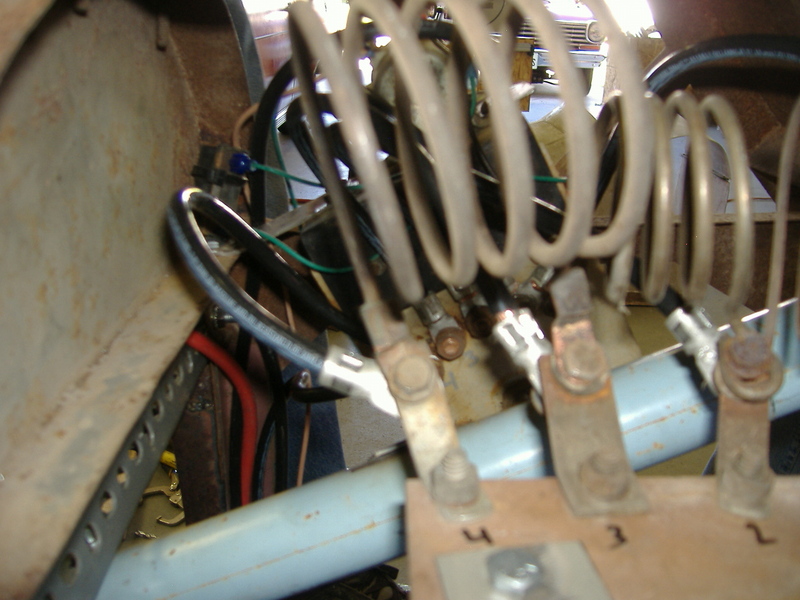 Extreme close up of the resistor coils mounted in the dash of the midget. Finally, we mounted the forward/reverse switch and the key switch right at the front of the seat. The driver reaches between his/her legs to activate it. 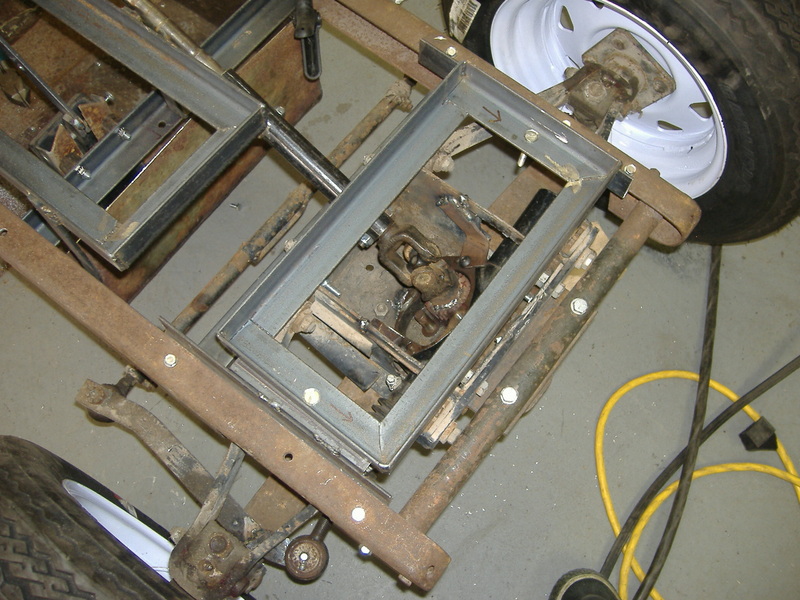 At this point, all of the main components were mounted in place. 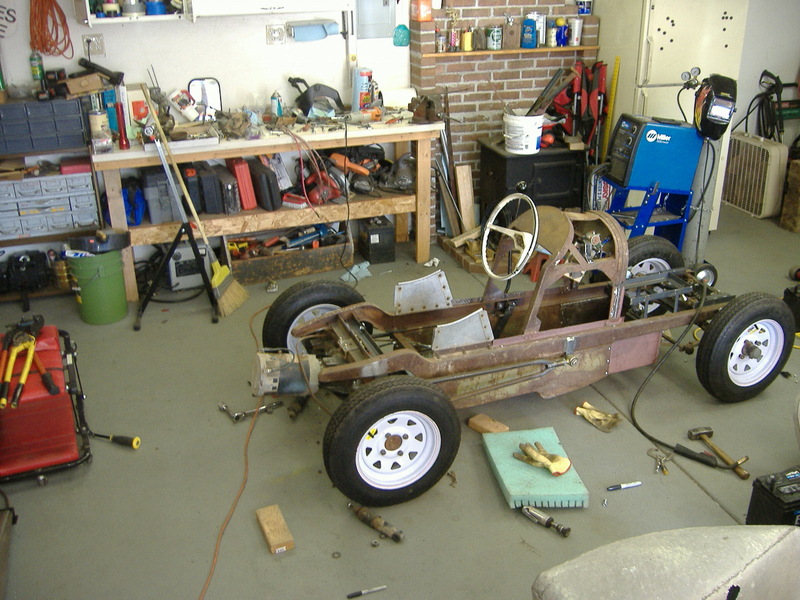 All that was left was wiring, building a seat, and bolting the body on. Those items will be covered in the next post. Almost there. *Teaser* Note the huge cutters and crimpers on the creeper on the left.